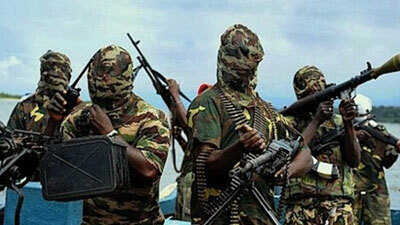 You searched for boko haram - Page 23 of 232 - SABC News - Breaking news, special reports, world, business, sport coverage of all South African current events. Africa's news leader. 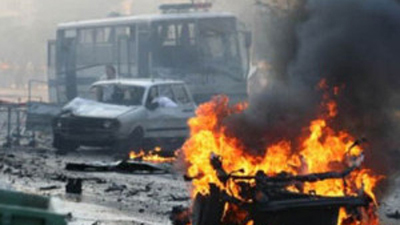 Three suicide bombers killed four people and injured eight others in a village near the north east Nigerian city of Maiduguri, a police spokesman said on Sunday. 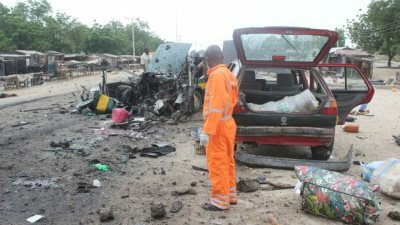 Four female teenage suicide bombers killed two people and injured 16 others in a residential area in the northeast Nigerian city of Maiduguri, a disaster agency spokesperson said on Wednesday. 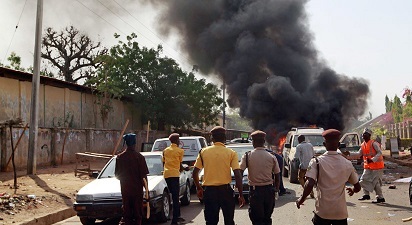 Civilian vigilantes foiled a suicide attack on the outskirts of Nigeria’s flash point city of Maiduguri, killing two teenaged female bombers, police said on Sunday. 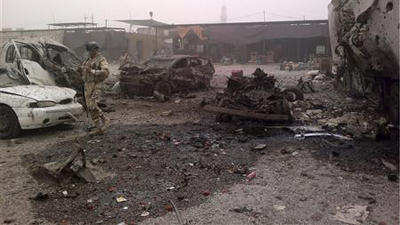 Multiple explosions have rocked the outskirts of Nigeria’s northeastern city of Maiduguri on Friday, killing three suicide bombers. 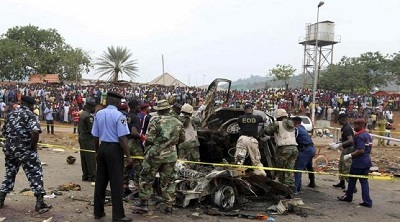 Seven suspected Boko Haram militants blew themselves on the outskirts of a northeast Nigerian city on Friday. 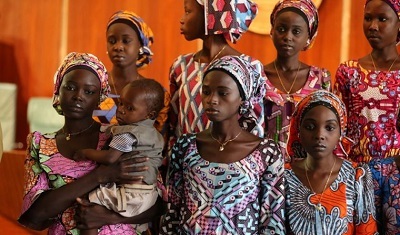 The parents of the 21 Chibok schoolgirls freed by Boko Haram in October must be involved in the Nigerian government’s efforts to care for the girls and reintegrate them into society. 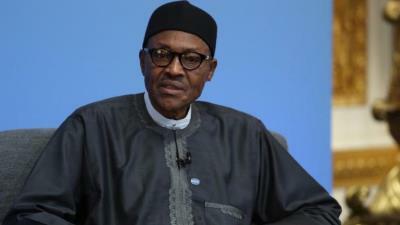 Nigeria’s government will seek a lasting peace settlement with militants in the oil-producing southern Niger Delta region in 2017, President Muhammadu Buhari said on Saturday. 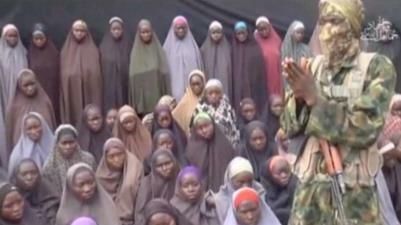 A group of 21 Chibok schoolgirls freed by Boko Haram militants in October after two-and-a-half years in captivity in northeastern Nigeria were celebrating a “miracle” on Friday.